1. Use DBT research data to engage stakeholders in DBT. 2. 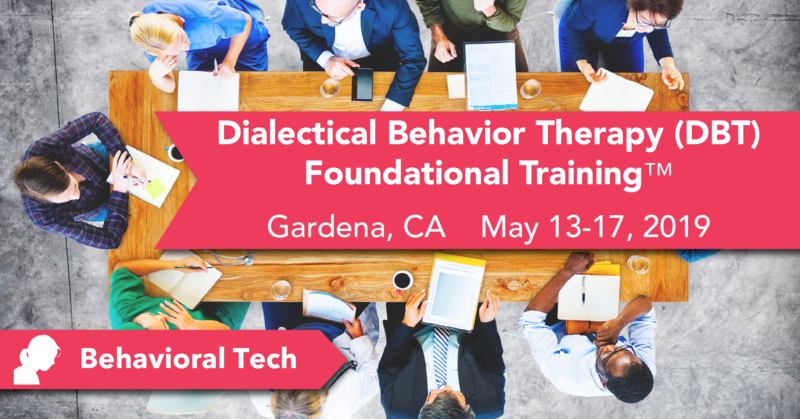 Adopt and practice a dialectical worldview in treatment. 3. Incorporate DBT assumptions about clients into treatment. 4. Explain the biosocial model of BPD/pervasive emotion dysregulation. 6. Structure treatment according to the target hierarchies for each modality (e.g., individual, skills training, phone). 7. Complete DBT pre-treatment tasks (e.g., identify client’s goals, orient to DBT, obtain commitments). 8. Assess long-term and acute risk for suicide. 9. Apply DBT suicide crisis protocols. 10. Implement the levels of validation in DBT. 11. Conduct a chain analysis of an episode of a target behavior. 12. Generate and evaluate solutions for specific problematic links from a chain analysis. 13. Describe the goals of the DBT skills modules. 14. Describe the DBT problem-solving strategies (skills training, cognitive modification, exposure, contingency management). 15. Implement DBT stylistic strategies (reciprocal and irreverent communication). 16. Implement DBT case management strategies (consultation-to-the-client and environmental intervention). Janice Kuo, Ph.D., received her doctorate in clinical psychology at the University of Washington in 2007 under the direct mentorship of Dr. Marsha Linehan. She completed her predoctoral clinical internship at the VA Palo Alto Health Care System and a postdoctoral fellowship at Stanford University and the National Center for PTSD. 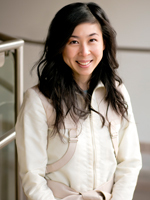 In 2010, Dr. Kuo joined the clinical psychology faculty at Ryerson University where she is currently an Associate Professor and the director of the Borderline Personality Disorder & Emotion Processing Lab (BEPLab). As well, she is one of the founding partners of Evidence-Based Therapy, Training, and Testing (EBT3), a private practice clinic that provides evidence-based treatments, including comprehensive DBT. 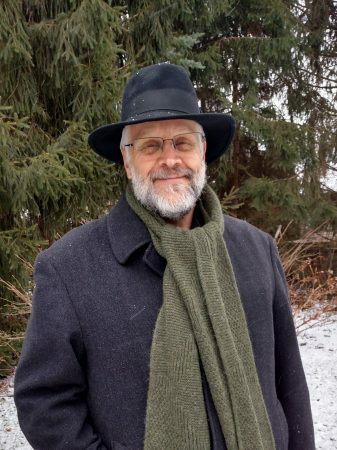 Dr. Kuo is one of the Trainer and Consultants with Behavioral Tech, LLC, and is among the first cohort of individuals that became board certified DBT clinicians by the Linehan Board of Certification. Dr. Kuo runs an active research program investigating the efficacy of DBT, as well as basic emotion processes in BPD using multi-method experimental designs. As director of the BEPLab and a partner at EBT3, she regularly supervises graduate students and other mental health professionals in the research and delivery of DBT. She has given several national and international workshops and trainings in DBT since 2004. Dr. Kuo’s research has been funded by the National Institutes of Health and the Canadian Institutes of Health Research. 20 available	 5178-Application-Fee $50.00 App fee - Please send us your application within 7 days of submitting your app fee, or your app fee will be cancelled and we will not reserve your seat. Find the application link below. We will review applications in the order they are received. Applicants will be notified of acceptance no later than April 8, 2019. Behavioral Tech will apply to the NAADAC – the Association for Addiction Professionals, Provider #77431. You will receive a letter via email documenting your attendance upon successful completion of the activity. The allotted contact hours for this activity = 33. Behavioral Tech will email you a letter documenting your attendance upon successful completion of the activity. The allocated clock hours for this activity = 33. Behavioral Tech is accredited by the Accreditation Council for Continuing Medical Education to provide continuing medical education for physicians. Nurses should only claim credit commensurate with the extent of their participation in the activity. Continuing Medical Education is accepted by the ANCC for nursing certification renewal. The maximum AMA PRA Category 1 Credits™ designated by Behavioral Tech for this activity = 33. Behavioral Tech is accredited by the Accreditation Council for Continuing Medical Education to provide continuing medical education for physicians. Physicians should only claim credit commensurate with the extent of their participation in the activity. The maximum AMA PRA Category 1 Credits™ designated by Behavioral Tech for this activity = 33. Behavioral Tech is approved by the American Psychological Association to offer continuing education for psychologists. Behavioral Tech maintains responsibility for the program and its content. Behavioral Tech will email you a letter documenting your attendance after successful completion of the program and homework. The number of hours Behavioral Tech has allocated within APA guidelines = 33. Behavioral Tech will apply to the NASW, Washington State Chapter, Provider Number 1975-166, to offer continuing education for Certified Social Workers. Behavioral Tech will email a certificate of attendance upon 100% completion of this activity. The hours of CE allocated for this activity = 33.